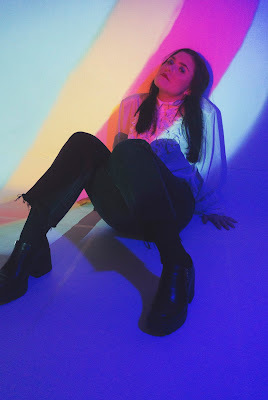 Stockholm based vocalist Ame Ardai returns a new release called "Blue", following up on her recent debut single "Not Believing". Her style can be characterised as a mix of RnB and soft electronica vibes, making her music ideal for easy listening. Even though she appears to be relatively new to the game, her work suggests that she's an absolute pro and hence she remains one of my top #onestowatch for 2018. Dive right into her latest masterpiece by pressing the play button and check the links below for streaming via Spotify and socials.